Whether the mind’s runaway chatter actually causes insomnia is an open question, but there’s no doubt but that rumination and worry go hand in hand with anxiety and make it harder to sleep. Here are three ways to keep intrusive thoughts from creating anxiety and ruining the night. Whether the mind’s runaway chatter actually causes insomnia is an open question, but there’s no doubt but that rumination and worry go hand in hand with anxiety and make it harder to sleep. Insomnia, said the authors of a study on sleep and worry conducted in 1983, is associated with “an inability to turn off intrusive, affectively-laden thoughts and images at bedtime.” Follow-up studies in the 1990s showed that the more emotion-laden thoughts a person experienced at bedtime, the longer it took to fall asleep. Investigator Allison Harvey has written a lot about the management of thoughts that get in the way of sleep. 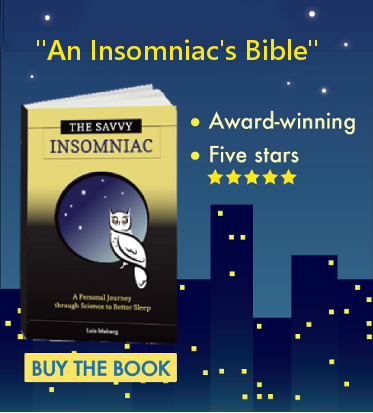 According to Harvey, insomniacs plagued by a racing mind at bedtime will sometimes try to stop or suppress the thoughts they think are keeping them awake. This is usually counterproductive. Thought suppression causes a rebound in the unwanted thought, she says, making it even harder to fall asleep and diminishing sleep quality as well. Another tactic insomniacs sometimes fall back on is trying to sleep, says investigator Colin Espie. But making an effort to sleep is also counterproductive. Sleep is an involuntary and automatic process. “Direct sleep effort (trying to force sleep to come) is likely to increase cognitive and emotional arousal,” Espie says, making it harder, rather than easier, to sleep. There are more effective ways to keep intrusive thoughts from creating anxiety and ruining the night. If your thoughts have to do with planning and rehearsing for events in the future, try setting those plans down in writing well before you head to bed. This may make you less inclined to plan and rehearse when you turn out the lights. If your thoughts are emotionally charged and you’re willing to consider a long-term solution, mindfulness meditation shows promise as a way to reduce the arousal associated with anxious thinking that interferes with sleep. Some insomniacs find that relaxation techniques work as well. Finally, research shows that thought management via distraction can help people with insomnia get to sleep more quickly and reduce the discomfort associated with intrusive thoughts. For me personally, distraction is the only thing that works if anything will. A novel with interesting characters or a good movie will often divert my attention away from the stressors causing my arousal. And if at lights-out my mind drifts toward the unsettling, mentally I re-enter the world of the novel or movie, and with luck that’s the last memory I have. 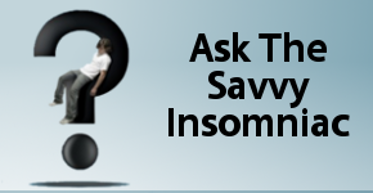 What helps you manage intrusive thoughts at night? Does it always work? I’m glad you like the website. Your idea of pre-loading the mind with pleasant & vivid thoughts sounds like it could be quite effective. Sort of like programming yourself for a pleasant send-off at night, and no need for a good novel or a movie. I’ll try it myself! I have OCD and I am bipolar and one manifestation of my ocd is hypochondriasis so when I was doagnosed with hpv a few months ago i went insane and started having anxiety attacks resulting in comstant ruminating and intrusive thoughts keeping me up all night the result being chronic insomnia and i could only get 3 to 4 hours of sleep on a benzo like Ativan with horrible side effects and i really need help since both lack of sleep and Ativan are harmful. What should I do? I’m sorry this new diagnosis is causing such worry. Because the sleep problem developed following the diagnosis, perhaps seeing a therapist might help? Confronting the worry head on with the help of someone trained in how to manage anxiety seems like a good idea. Re: the medication, here, too, you’ll need the help of a specialist. Long-term use of benzodiazepines can lead to problems–a good MD should be able to evaluate your situation and, if medication really is a good idea, prescribe something with fewer side effects than Ativan.